The Long® engine-mounted engine oil cooler is a Dana thermal-management product that improves engine performance and durability by providing superior cooling properties to effectively reduce thermal load. 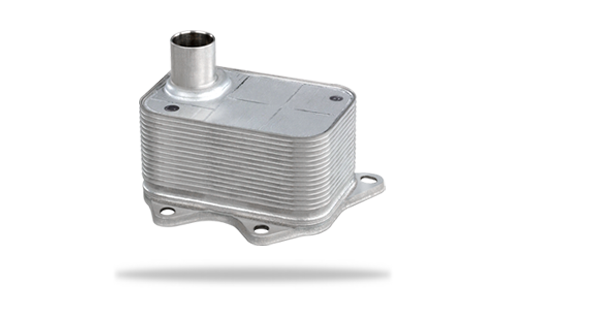 This oil cooler is commonly used on high-speed diesel, gasoline, or flex fuel engines for passenger vehicles and light trucks needing engine oil cooling capacity. The design also works well for newer, more efficient engines requiring engine-mounted oil coolers.